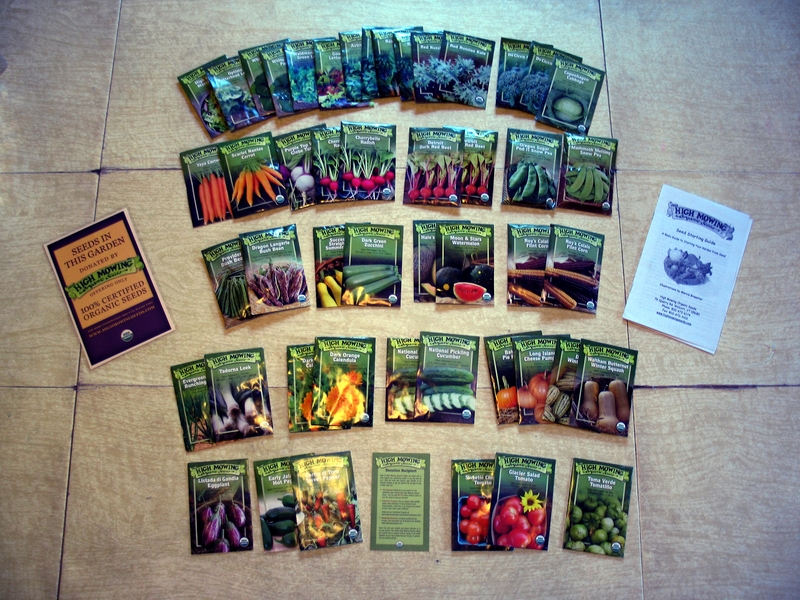 In addition to many local gardeners who have donated seed to the Chico Seed Lending Library we have also received donations from seed libraries, farmers and seed companies. While some of the seeds were not grown in our bioregion we know that seed is resilient and can be adapted to grow and produce well in our climate with time and perseverance. After all, that is one of the goals of CSLL… to create regionally adapted seed for our community to access and grow together. 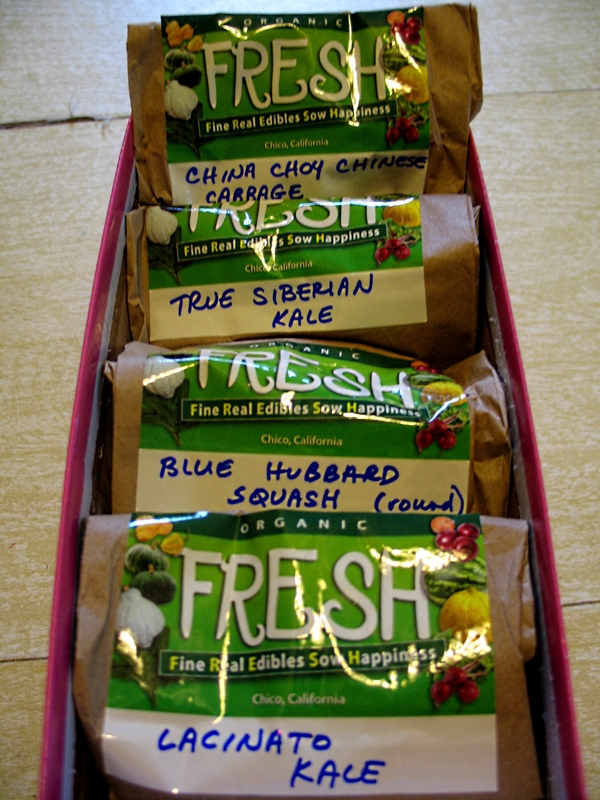 Our first seed donation came to us last year from Hudson Valley Seed Library in Accord, New York. We were fortunate to meet Ken Greene, founder of the seed library, last year at the National Heirloom Expo. This seed library is unique as many of their seeds are grown on their own small farm. 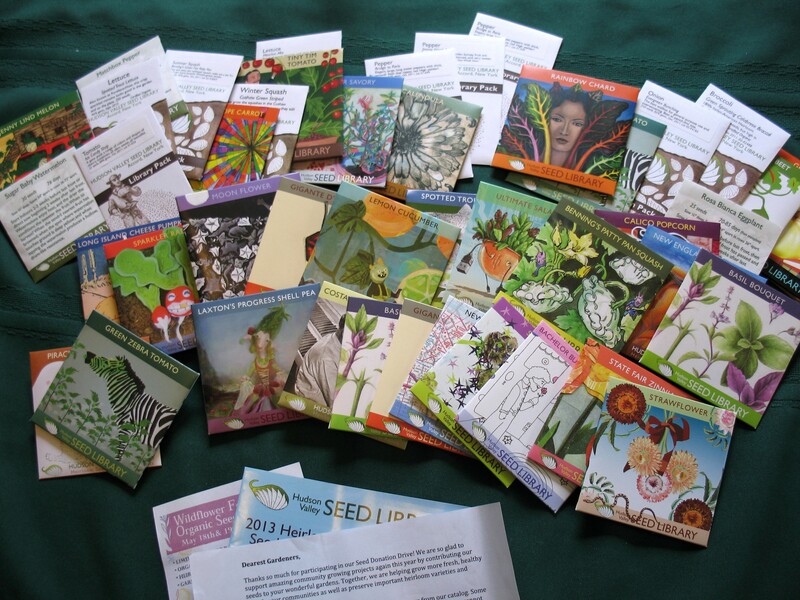 Also unique to Hudson Valley Seed Library are the seed packs themselves… they commission artists to create works of art to put on their seed packs. As a matter of fact they are calling out to artists right now for their 2015 seed packs. 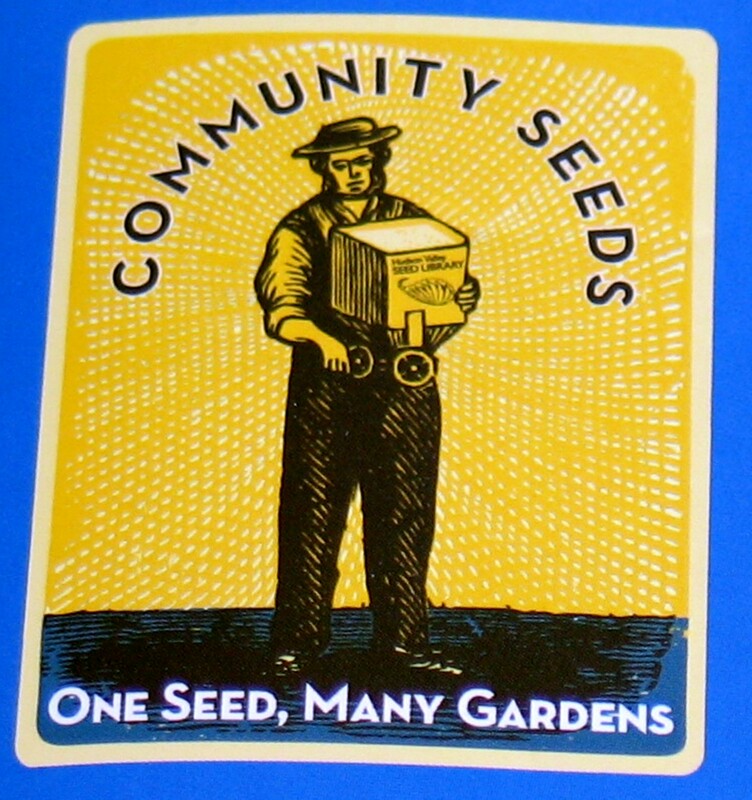 Our second seed donation came from High Mowing Organic Seeds in northern Vermont. High Mowing Organic Seeds has been around since 1996 and provides organically grown open pollinated, heirloom and hybrid seeds. Many of seeds they sell are grown on their own 40 acre farm. Our third seed donation came from a local source, F.R.E.S.H., which stands for Fine Real Edibles Sow Happiness. Baba and Mharia Ross-Walcott are locals who are don’t farm full time but we can still find their produce in local stores thanks to their hard work and we’re very grateful to their seed donation! 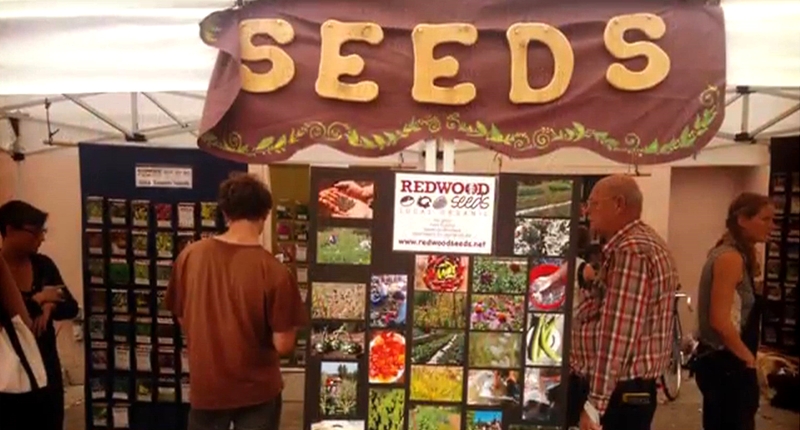 The last seed company to donate seed is Redwood Seeds out of Manton, CA. Redwood Seeds cultivates over 95% of their seed crops directly on their farm with a few varieties grown by other local organic farmers. Kalan Redwood has been extremely helpful with the formation of the Chico Seed Lending Library. Not only have they donated seed Kalan has spent hours working with us on our seed saving information for members. The seeds we have from Redwood Seeds in the seed library right now are Golden Sweetie Pea, Wrinkle Krinkle Garden Cress, Criolla Sella Pepper, Stupice Tomato and Burdock. At our next ‘Lettuce Get Together’ we have even more seed from Redwood Seed we will be packing up for members to borrow. Don’t forget, Kalan will providing a talk about growing drought tolerant crops from seed at the upcoming 5th Annual Spring Seed Swap on Sunday, March 16th at the Chico Grange Hall. You can find more information about the seed swap here. We’d like to give a huge shout out of THANKS AND GRATITUDE to these farmers, seed libraries and seed companies for sharing their seed with us so we can share them with you!